Beautiful Picture: Review: The Body Shop. Beautiful Picture: Review: The Body Shop. 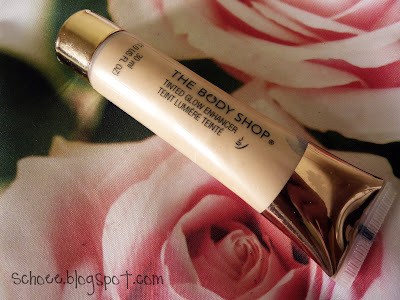 Home » Body Shop » Review » Review: The Body Shop. Let me start by saying that i have been a huge fan of The Body Shop products since i was about 13. I was introduced to it by my Auntie who was a massive fan herself. The smells are amazing & some of the products really work for me. 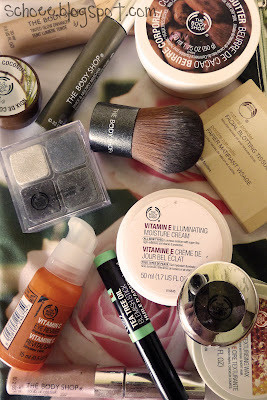 I was kindly sent these Body Shop products to try out and test, however, this will in no way alter my personal opinion on each of these products. This review will be all my honest thoughts on personal experience's with each item. 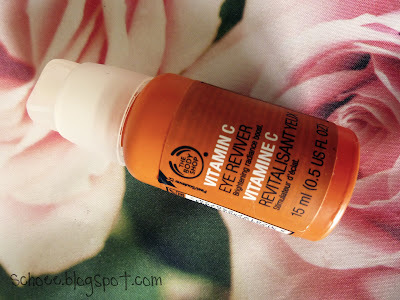 This cute little orange pump bottle claims to revilatise & brighten the undereye area. Now, personally, i am always so sceptical about eye products doing anything of the sort. The only product i can really compare this to is the Soap & Glory one i bought last week, although that is in Gel form, so infact are 2 completely different products. It is unscented & in more of a lotion form. It also has a very apparent "cooling" effect. Which actually, is the nicest i've ever tried. 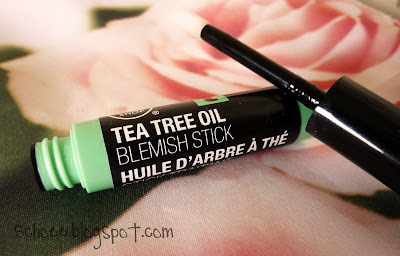 I have been applying this most mornings, and i can't say i have noticed any difference in my dark circles (not that it claims to deminish these) but i LOVE the feeling this leaves. It tightens, cools and really does well in making me feel awake. These are, in my opinion, the most famous product the Body Shop have produced. 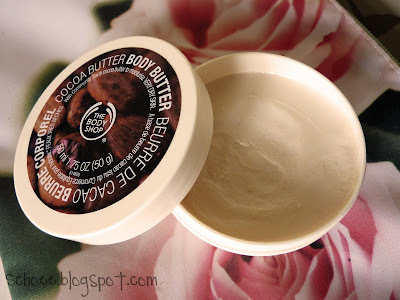 Body butters are one of my absolute must haves. I think over the period of 6 years i have had almost every scent. Coconut & Cocoa Butter being my favourites. They are rich in Shea & Cocoa Butter making them amazingly hydrating to the skin. I also think they work wonders on burnt skin as an aftersun treatment. If you've been on holiday and you want to keep your tan lasting as long as you can, use a body butter because that works amazingly for me. Alot of people may have issues with it feeling quite greasy if your skin isnt in need of a good quenching, but you can apply as little or as much as you need. Okay, so in all honesty, i haven't used these much. As most of you who read my blog know, i have dry skin, and therefore blotting it..would result in horrific flakey-ness. I did however, test them on my not-so-willing boyfriend, Jack. They were very powdery, and found they actually had a rather decent coverage. Not only did they diminish any oils on his face but left a perfectly smooth powder behind covering any blemishes too. I actually know a fair few people that swear by these. You can use them over makeup, or under & they have a fab matte effect. 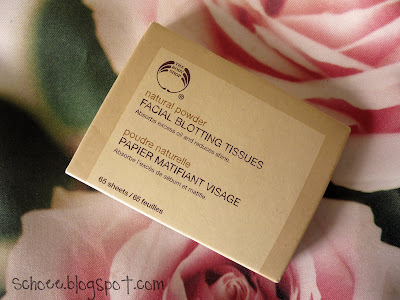 So if you are a "blotting paper" kinda gal, you should give these a try. I reckon you could be pleasantly surprised. I was excited i had recieved this lip butter as i had been meaning to buy it. 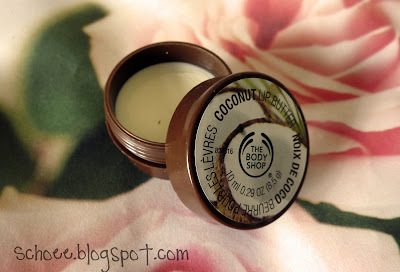 As i previously stated, my favourite Body Shop scent/flavour is coconut (obviously not everyones cuppa) so to have this in Lip butter form was aces. The lip butters are just as amazing as the body butters. I could seriously eat this. I have it on my lips as i type this and i am really trying hard not to lick them. They contain Beeswax, Cocoa butter & vitamin E.
It feels like silk on your lips, and i actually found this scent/flavour to be alot more moisturising than the ever so famous "yes yes yes", even though i think the "yes yes yes" lip butter has the best scent i have ever come across. 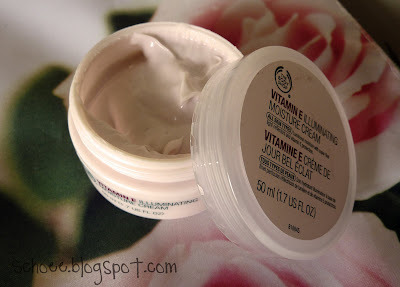 Again, i have been a massive fan of the Body Shop Vitamin E products. I have purchased a fair few items in the range, all have been goood & had great results. This cream contains shea butter and really fine light reflectors to create a healthy looking glow. Alot of people dont like the thought of having Shea Butter on their face, as it is very moisturising. I would only ever reccommend the Vitamin E range to anyone with dry skin lacking in radiance. I do think if you suffer with very oily skin to stay clear of anything like this, as obviously you will be adding more reflective light. Over time this lotion and others in the vitamin e range promise to soften the skin and make it appear more smooth. I didnt notice any smoothing..or softening, but it could still be early days. 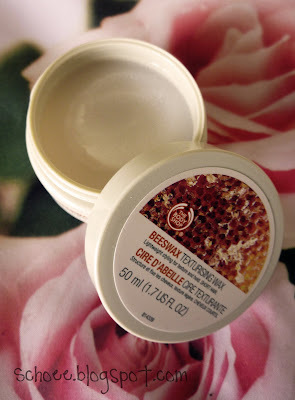 I can't say i was completely bowled over by this product, it did give me a gorgeous dewy base for makeup, and yes, i definitely look more awake when im wearing it, but i dont think for the price it is entirely worth it, unless you really do have dull, dry skin. If you hadn't already guessed, this is the product i couldn't really test. I could tell you what it smelt like, and felt like, but as i dont have short hair or use gel...i couldn't tell you how it performed. "felt nice, was easy to style and lasted a good amount of time"
Although really, i can't imagine a boy choosing this over the normal "VO5 or Garnier" in a supermarket if im honest. The boys i know, arent really too fussy about what they put in their hair. One thing I liked about this, was the scent...honey. I was sniffing Jacks hair like a madwoman, although i dont think Jack was AS keen, i don't know if its normal for guys to smell of honey, or if its a bit too feminine. 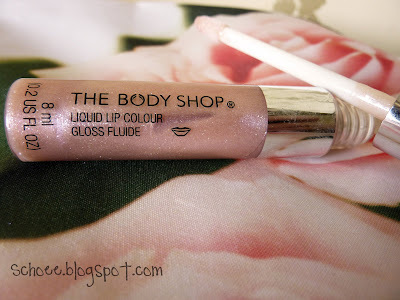 The colour of this gloss is "13 - Pale Pink"
I wasn't so impressed with this. 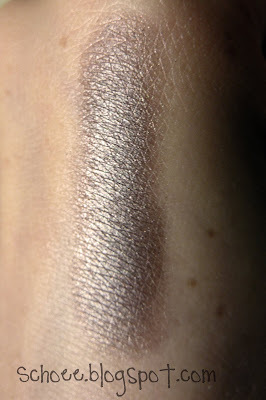 The best way of describing it would be in comparison to Mac's Dazzleglasses but not as pretty. The consistency, i found, was quite sticky...on the sticky scale i'd say it was like a Dazzleglass. and there are very small particles of light reflecting glitter. One thing i hated was the scent, but i know this is only a personal preference. It smelt like blueberry sweets...and for some reason..i just find it too sweet and sickly. Obviously, to some, this would be the perfect scent. It also didn't have much pigmentation...in fact very little which is why i have no swatch of it, as you couldnt see anything but glitter. Obviously there are darker colours in the range, which i haven't tested so im hoping they are alot more pigmented than this one. The one thing i DID love about these, was that not only is it a lipgloss, it moisturises your lips aswell as making them look pretty...which is something that Mac need to do, as their lipglasses can bevery drying. If there are any of you that want something similar to a dazzleglass without paying the massive price tag and you dont mind the blueberry scent then i would highly suggest you take a look at these. I LOOVE this. I have been using this on my blemishes and it clears them right up. Unless of course you have perfect skin, in which case then...DAMN YOU! 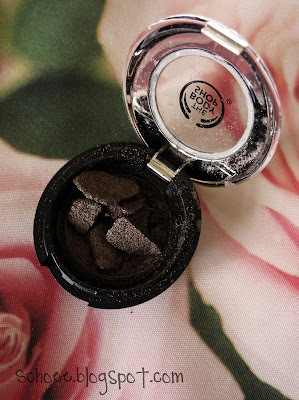 I was hugely dissappointed to find that the shadow had broken in transit, along with a mascara wand which had completely snapped into about 3 pieces and was unfixable...so i could not use it...thus no review im affraid. The shadow, although broken, is such a gorgeous colour. One that i could definitely see myself buying in the shop. It's a gorgeous moth brown and the consistency of the shadow is really smooth and application and blendability is also very very good. Its also very pigmented. They have an amazing range of colours, and i'm definitely going to go and check some more out. This is by far, my favourite Body Shop product i was sent. I have used this everyday since i've had it in conjunction with my Bare Escentuals Mineral Foundation. Application is quite literally flawless. 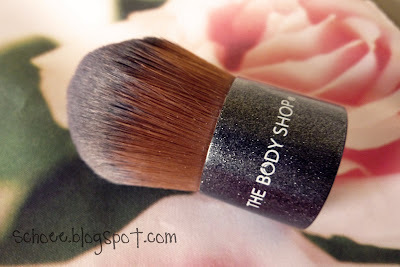 The brush is dense, soft and has not shed one hair! I can't reccommend this brush enough. I have contemplated buying the Mac kabuki but now i really dont feel the need to, and i prefer it to my Lily Lolo one too. When i recieved these, i have to be honest, i just thought they would be a bit of a dissapointment. I guess i have become some what of a makeup snob, and if the shadow isn't from Mac, Nars or Urban Decay, theres no way it will be any good? right? 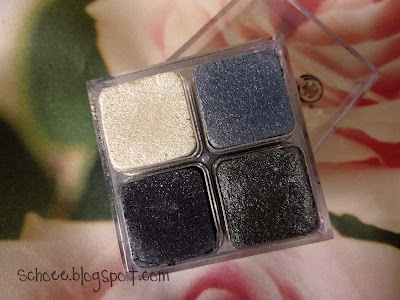 They are very pigmented, blend superbly, and the colours are gorgeous. They are all shimmery but then i do like shimmer, and these are very much night time shades, in which case you'd go for a bit of shimmer right? Plus, they're called "Shimmer Cubes". If you didn't like shimmer, you wouldn't purchase this full stop. I have used this SO much since i've had it. I even did my friends ball (prom) makeup with it, and she loved the outcome and it lasted well all night. The only ONE thing i would say is that they can be a BIT crumbly, but apart from that they're amazing. This, i have mixed views on. Only because i didn't notice THAT much of a difference. I really love the idea of something to brighten your complexion & make you glow (hence my purchase of the Glow Job by Soap & Glory a few weeks ago) but, in all honesty, i didnt like it as much as Glow Job. Purely because i loved the golden tint that Glow Job gave, whereas this gives an extremely light, skin-like coverage with a slight sheen. I think this would be FAB for older women, or those who dont want the bronzed glow, as it it alot more natural. In the picture above you can clearly see there is a glow. I like the concept, but really i think the effects were very subtle, this might be more your cup of tea, but not mine. This mascara is in black & has a plastic wand. I'm not really a fan on plastic wands, i've always been a brush wand girl. I just feel it grips the eyelashes more. My feelings on this product are neutral. I really like the outcome, it definitely divides the lashes...although i wouldnt say it really multiplys. 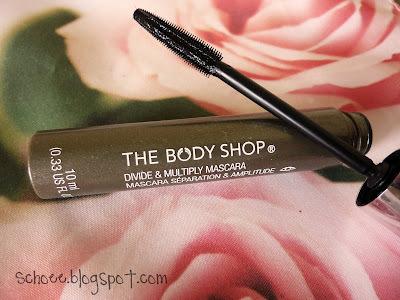 I really like this for an everyday natural look, as it really does look like you have naturally black, pretty lashes. I would reccommend this to younger girls who might be wearing mascara to school, as it wears well throughout the day and doesnt look too dramatic and doesnt clump. Personally, i love my lashes to be lengthened a little more and to look alot thicker, which i dont think this really did. I hope you enjoyed my review or found it somewhat helpful. & keep an eye out for promotions and sales as alot of things become reduced by quite a bit, and its worth checking up, to grab yourself a bargain!